How does non-metallic, awesome insoles, composite toe and multi-resistant sound to you? It sounds great to us, which is why Working Person’s Store carries the Reebok Women's RB864 Rapid Response EH Composite Toe Military Boots. By now you may be saying to yoursel ... (see full details) (see specifications) #RBKRB864. How does non-metallic, awesome insoles, composite toe and multi-resistant sound to you? It sounds great to us, which is why Working Person’s Store carries the Reebok Women's RB864 Rapid Response EH Composite Toe Military Boots. By now you may be saying to yourself, “Reebok makes a work boot! ?” You bet they do and it’s a great one at that. When it comes to work non-metallic military boots, you can never go wrong with black. Reebok has put together this great women’s composite toe metallic work boots that have enough bells and whistles to safely see you from job site to job site – and they've wrapped it in this very practical black packaging. Their non-metallic construction makes them ideal for travel – meaning they’re airport safe. They are also slip, oil, metal chip, abrasion and chemical resistant, which will keep you in facing the right direction regardless of the floor surface. These women’s Reebok duty boots are also made with a smooth leather and Cordura upper, 6 inch Stealth swat boot shafts and a side zipper. The lining of these work Stealth Swat boots are Tailex, while the insoles feature a removable F2 dual density polyurethane cushion insert for easy cleaning. They are also enhanced with a TPU heel stabilizer and shock eliminator heel cushion. What on earth does all this mean? It means these women’s Reebok boots are made with stellar insoles that are designed to keep feet comfortable throughout any workday. Keep the shock of your day outside your safety toe boots where it belongs while the dual density, mountain trail rubber bottom and EVA cushion midsole take the pounding instead of your feet. These composite toe boots are made from a non-ferrous elastomeric material that ensure they are lightweight and meet or exceed ASTM F2413-05 Standard for protective footwear. The FT FootForce insoles make an ideal choice for anyone who spends countless hours on their feet. Made similar to conductive footwear, these Reebok non-metallic tactical boots are designed to stabilize the heels to keep back and legs pain free. To own a pair of these durable Reebok RB864 Rapid Response EH Composite Toe Women's Boots, shop Working Person’s Store today while quantities last! If you liked the Converse C864, you will love the Reebok RB864. I found them to be comfortable, they work well with inserts I need to wear. I have only worn them three times for work so far but once they break in and are not so stiff I'm sure they will even feel better. I bought them to wear as an EMT. 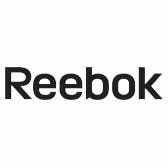 Reebok Boots: Women's RB864 Rapid Response EH Composite Toe Military Boots is being added to your cart.